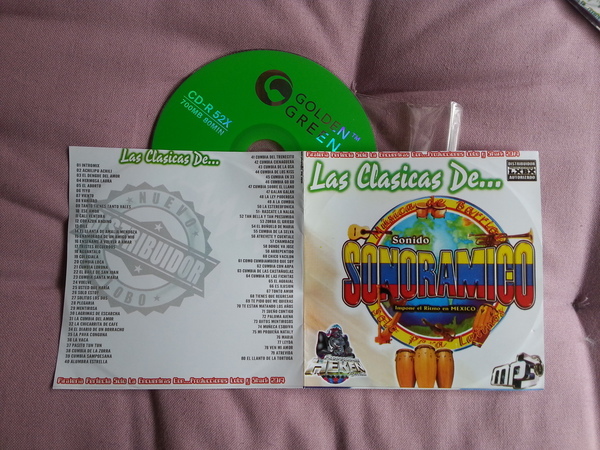 This fantastic compilation (80 tracks) by Heken Productions is an amazing collection of antique cumbia classics, apparently from all over the Latin American continent. Some tracks were already present on some great compilations such as Cumbias de Antaño – Shark DJ or Duelo de Cumbias – Nuevas Vs Antaño – Shark DJ. bought for 10 Pesos (approx 0.6€) on some mercado cerca Tasqueña, in Mexico D.F. jz on Thursday, August 7, 2014, at 08:16. Filed under datalove. Tagged Antique, Bittorrent, Cumbia, Music, Sonidero. Bookmark the permalink. Follow comments here with the RSS feed. Trackbacks are closed, but you can post a comment.